Capetonian Yaaseen Barnes first made a splash as the winner of the Joker's Comedy Championship in 2013. 2014 saw Barnes winning the title of GoodHope FM's Laugh Master, and subsequently performing at the Jive Funny Festival alongside the likes of Trevor Noah and Marc Lottering. One of his most memorable performances was on “Comedy Central Presents Divine”, alongside SA favourites like Casper de Vries and Deep Fried Man. 2015, after stellar performances in Grahamstown with The Cape Town Comedy Club, Barnes was nominated (again) for Newcomer of the Year in the Savannah Comics Choice Awards and won! 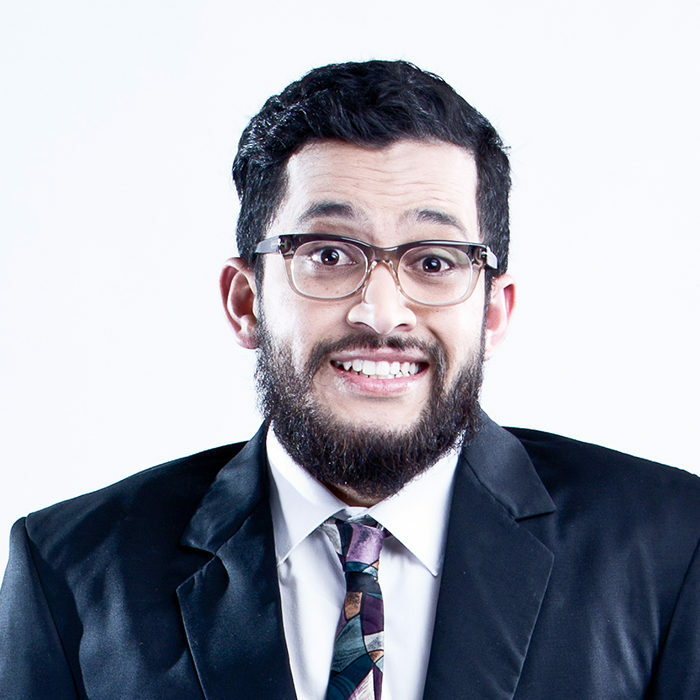 He then went on to write for Stuart Taylor's "2015 in Revue", open for Riaad Moosa on the Best of Tour and perform at the Comedy Central International Festival. In 2016 he was named one of The Mail & Guardian Top 200 Young South Africans and won Intermediate Comic of the Year at Savannah Comics Choice Awards. He also opened for Nik Rabinowitz's "Fortyfied"
When he’s not on stage, Barnes writes for Comedy Central News and hosts his own webseries The Weekly Noise. He performs regularly across the big (and small) stages of South Africa and also runs open mic gigs for people to start comedy in and around Cape Town.